When Joseph Pulitzer, the publisher of the New York World died in 1911. In his will left $2 million for the establishment of a school of journalism at Columbia University and annual prizes for literature, drama, music and journalism. 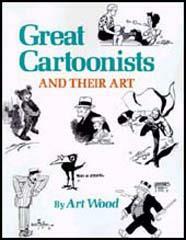 Since 1922 Pulitzer Prizes have also been awarded to cartoonists. Winners have included Rollin Kirby (1922, 1925 and 1929) Jay Norwood Darling (1924 and 1943), Daniel Fitzpatrick (1926 and 1955), Edmund Duffy (1931, 1934 and 1940), John McCutcheon (1932), Clarence Batchelor (1937), Vaughan Shoemaker (1937 and 1947), Jacob Burck (1941), Herbert Block (1942, 1954 and 1979), Clifford Berryman (1944), Bill Mauldin (1945 and 1959), Lute Pease (1949), Paul Conrad (1964, 1971 and 1984), Pat Oliphant (1967) and Paul Szep (1974 and 1977).